Learn to perform miscellaneous elements such as pops on the front mount, the outside and inside rolls to string, and top to bottom mount transfers for building braintwister combos. Misc. Elements: Vol. 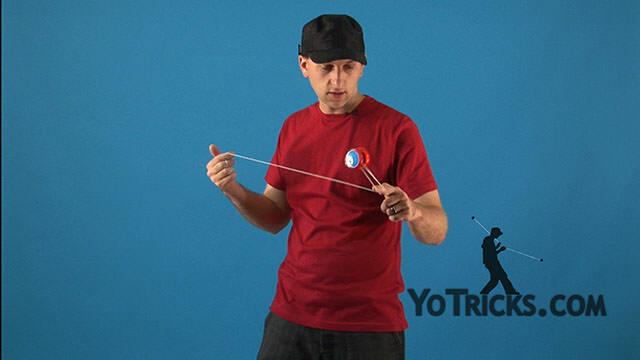 4 Braintwister Combo Series Yoyo TrickThis is the fourth video in the Braintwister Combo Series. In this video, I am going to be teaching you about the outside roll to string, how to do pops on your bottom mount, and the bottom to top mount transfer. 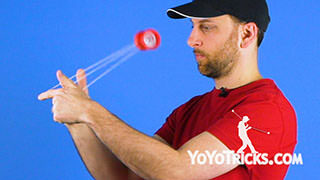 Now, outside roll to string is not a very difficult trick, but it is a useful transition to add flow to your combo. To perform this, what you are going to do is perform your outside variation of wave rider. 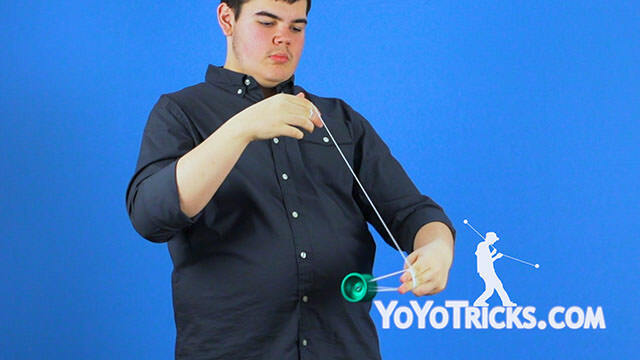 But, instead of catching the yoyo on your throwhand like you normally would, you are actually going to curl these fingers in. 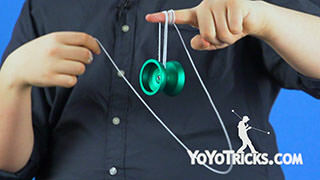 This will allow the yoyo to roll on the outside and over your non throwhand finger, mounting the yoyo on the string. 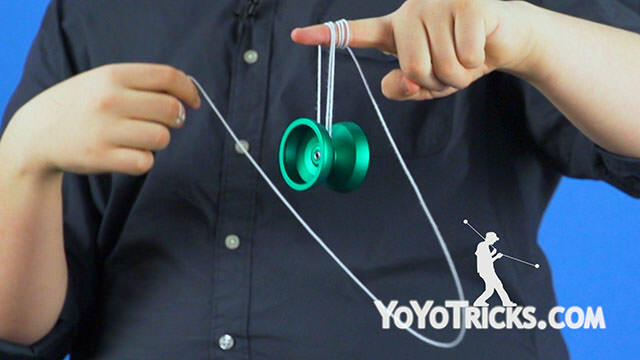 To finish performing the outside roll to string, all that you are going to do is dismount the yoyo and roll it in the opposite direction, landing back in your bottom mount. 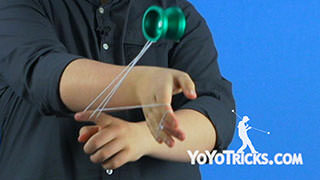 Once you have the outside roll to string down smooth, you can also perform this on the inside of your throwhand. It is a little bit more tricky, but it works just the same. Now, before you learn pops on the bottom mount, we do recommend that you check out our Pops on the side mount video. The concept is still similar. 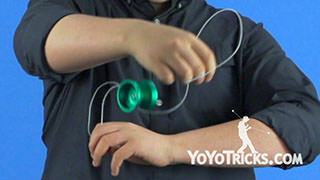 You are still sliding the loop off of your finger and remounting the yoyo. But instead of shooting the yoyo out like we teach in the side mount video, these pops are actually going down. Now, if you are having trouble with the yoyo snagging on you, you will want to shorten the tail of the mount to decrease the chances that the yoyo will snag. The bottom to top mount transfer is a good way to transfer the yoyo from the bottom to the top mount without breaking up the flow of your combo. To perform this, what you are going to do is mount the yoyo in your bottom mount. From here, you are going to curl your non throwhand index finger in. 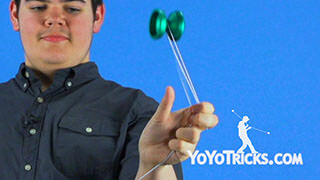 From here, you are going to start hopping the yoyo up. What you are going to do is rotate your throwhand around your non throwhand similar to the manual unwrap. 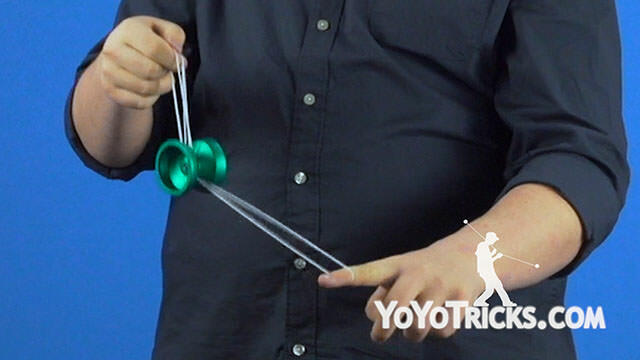 This will allow you to land the yoyo on the string. You can also perform a top to bottom mount transfer. That one looks like this. Now, to do this one, you are going to start by landing in your top mount. From here, you are going to hop the yoyo up like we taught in our last transfer. But, instead of rotating your arm around like in the manual unwrap, you are going to move it forward and keep your throwhand above your non throwhand. When you combine these two together, it should allow you to land in your bottom mount. 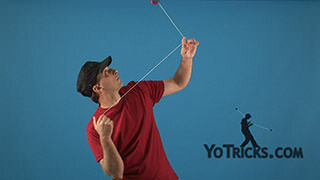 Now, you will actually notice that when you perform these transfers separately, it actually creates half of a twist in the string that is around your non throwhand. You can cancel this out by actually performing them back to back. This will negate the twists that are in the string. You can also put half of a twist in the string before performing one singular element. That will remove the twist from the string. Now, the outside roll to string stacks in a few different ways. From this mount, you can actually stack that with a double on. 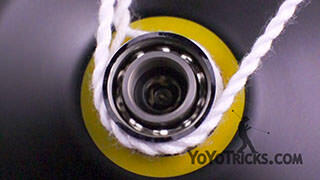 From this mount, you can also do all of your flips and your rolls before unrolling to go back into the bottom mount. Something that you might not have noticed is that this is actually a Phantom Mount. But, you can not use it until you insert your thumb in the string closest to your finger tip. From here, you can dismount your phantom mount however you like. There is lots of different opportunities to stack hops within tricks that we have already taught you on the Braintwister mount. If you are still having trouble learning the basic pops, we recommend that you try doing it after performing one roll. This adds a wrap of string to your finger, which removes almost all chance that the yoyo is going to snag on you. You can also perform a pop from double on. Now, be careful with this because this one does snag more often and is a little bit more difficult to learn. Also, there is a really cool pop that you can do from the outside roll to string. 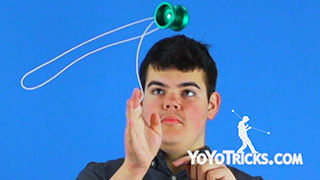 Form here, you are going to pop the yoyo outwards. But instead of remounting it in the bottom mount like you normally would you care going to land it in the top mount. If you are having a bit of trouble learning this, you can actually perform the pop before you land the yoyo on the top string. From here, you can perform the transfers that we talked about earlier in this video. There is lots of really cool options. So, learn these elements, incorporate them into your combo with good flow, and you are well on your way to creating the ultimate braintwister combo.